Farewell “Leana” Sunset April 22, 2007; La La LaToya! You only get ONE mom! But even though, it is surprising that so many people take this for granted. Every child should treat their mom and grand moms with the utmost respect. Give them love and respect them, because once they are gone, they are gone forever! My mom, the real “Leana” from my book, The Vampire Dancer Saga, departed on April 22, 2007. I have this date set on my calendar every year to think about mom. She was the BEST mom in the world! I couldn’t have asked for or dreamed for a better mom. I play Cribbage and Solitaire. Why? Because she taught me. I drink coffee and beer. Why? Because she did, and I wanted to be just like her. I’m good at computers. Why? Because my mom was so ahead of her time and got us a home computer when they first came out. The old kind that was connected to a cassette tape player for storage and a TV. The apple did not fall far from the tree, so I can see her positive influence all all of my brothers and sisters in some way or fashion. She is the reason behind writing The Vampire Dancer Saga. The very first chapter had to start with my roots – my mom. So Chapter 3, Le Hot Jazz Dancer, the 1920s, is really about why my granddad and mom were forced to relocate from Mississippi. Life begins through your mom, so if you are lucky to still have a mom or Grand Mom, please give them your love and respect while they are here. Word up – to 3 of my nieces, you know who you are! My mom prepared us for life! She was a teacher and I loved and I miss her life lessons. 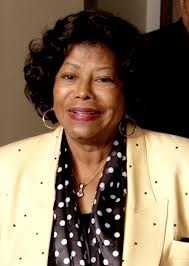 One class that I flunked was her cooking classes – for gravy, greens and “chitlins” (chitterlings),. 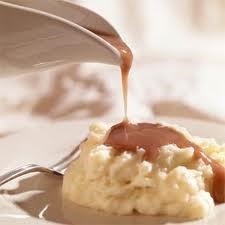 I never got the Roux down pat, so now I have to just deal with my “faked” faux roux gravy. But at least my sisters passed with flying colors, so it is great when they cook our old family favorites. But I will say this again, and again, that I was honored that she loved my chili! She requested that I cook chili for one of her last birthday celebrations. That was such as big deal for me. 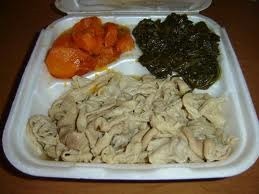 Even though I flunked gravy, greens and chitlins, at least I could cook something that she was proud of. 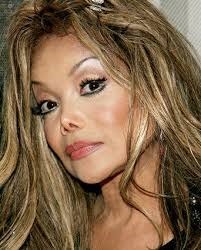 Speaking of great moms, I really like the new show Life with LaToya. 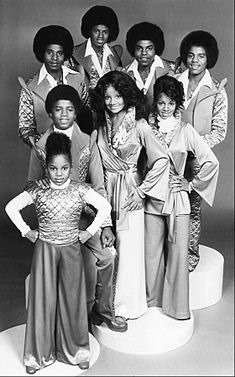 Last week’s episode featured LaToya and mom Katherine Jackson going back to Indiana for a tribute to Michael. I loved what Katherine said about Michael being the only one that can’t return home. And that Katherine still maintains the former family home in Gary, IN. That was so sweet! Home is so important. No matter how rich and famous you might become, you still have the “special” family home that was shared by parent and children. My brother now has our special family home. I’m so glad he kept in the family, because it gives us a place to return home and relive memories of Mom. Katherine and my Mom are so similar in certain ways. Both gave birth to a large family, my Mom with 7 kids and Katherine with 10 kids. Also both had a child pass away. Having a child pass away has to be the most difficult thing a parent has to face. 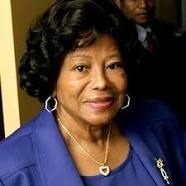 Call me a bit crazy, but I get a feeling of comfort when watching Katherine Jackson on TV. She reminds me of my mom and it’s great to at least have “mom” figure on TV.